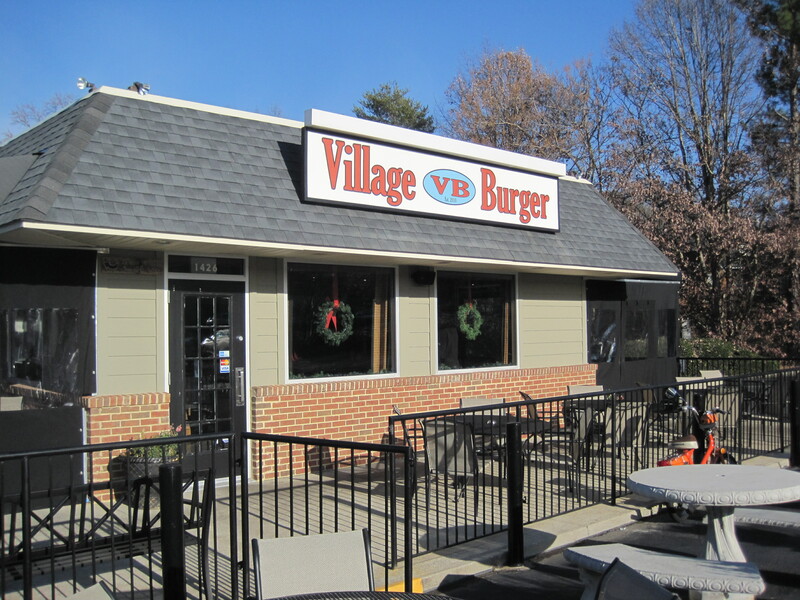 Village Burger is a smaller restaurant near the corner of Chamblee Dunwoody and Mount Vernon Road, behind the Fresh Market. It sits in a building all to itself. On each side of the building is cloth covered seating so that people could sit outside and not be exposed to the elements. Inside, people line up in front of a counter, make orders, and are handed numbered laminated cards. You sit, and the food comes to you. This day there were young men in sweats, older men in business suits squinting at newspapers, young ladies in fur lined boots, people blowing into their hands as they waited. The Rolling Stones’ “Satisfaction” played from speakers hanging from the roof. The menu was provided on a stack of laminated cards. The menu was also available on a blackboard behind the counter register. To the left of the line was a chalkboard with daily specials. The place offered burgers, hot dogs, salads, sodas, ice creams (with toppings and mixins). Seating inside is either at one of their pretty wooden tables (seating 2, or perhaps 4), or their stools, made from barrels cut in half and covered with leather. 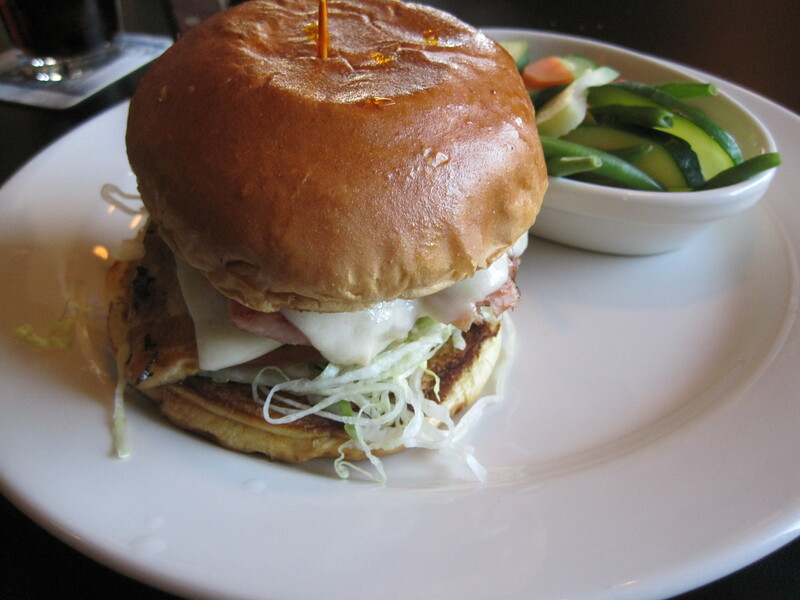 The Village Burger is their 2 patty burger, a large burger with plenty of juicy gray beef. 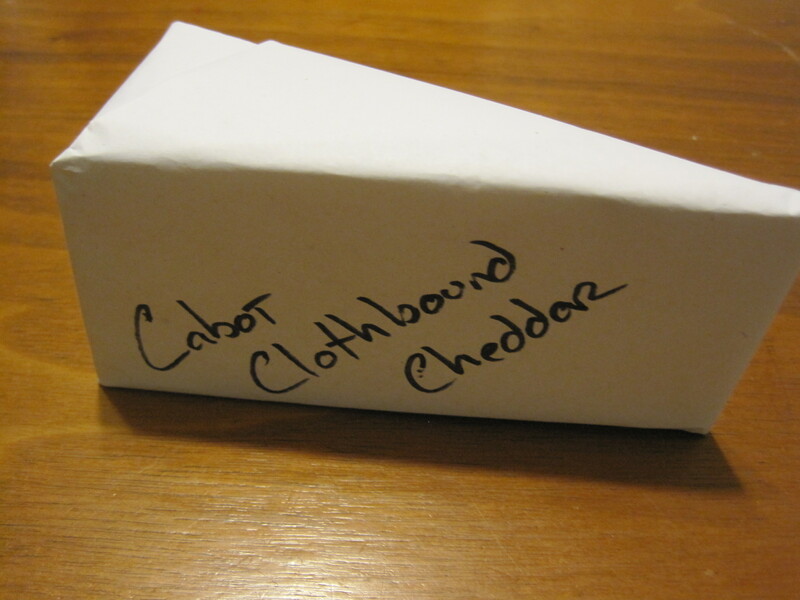 You can customize it however you wish, and it usually comes with fries. I’m not a fry eater so I added a salad instead. The Village Burger’s heft, small and compact, reminds me a bit of the Five Guys burger, as both are balls of meat and bun. But that’s where the similarities end. The ambience of Village Burger is totally different from the environs of a Five Guys. Village Burger is clearly a small shop labor of love. Five Guys is, by contrast, plastic, commercial, chain-like. Five Guys is a place to eat, whereas Village Burger is a place to linger, listen to the music, check out the clippings on the wall, read a newspaper while eating. It’s the kind of small owner, small shop experience that food bloggers should point out. Metaphorically, it’s the difference between whipped cream, and Kool Whip. 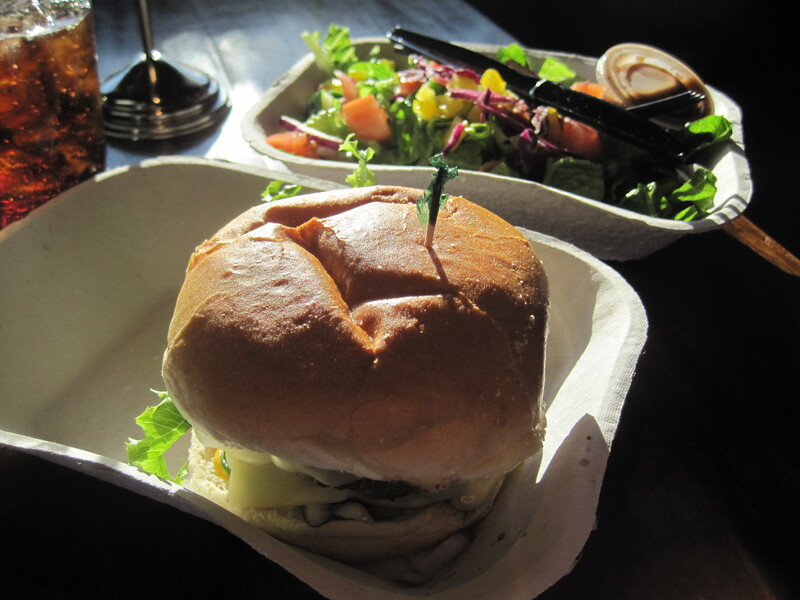 Verdict: A real small shop burger experience, with a fine burger. Highly recommended. 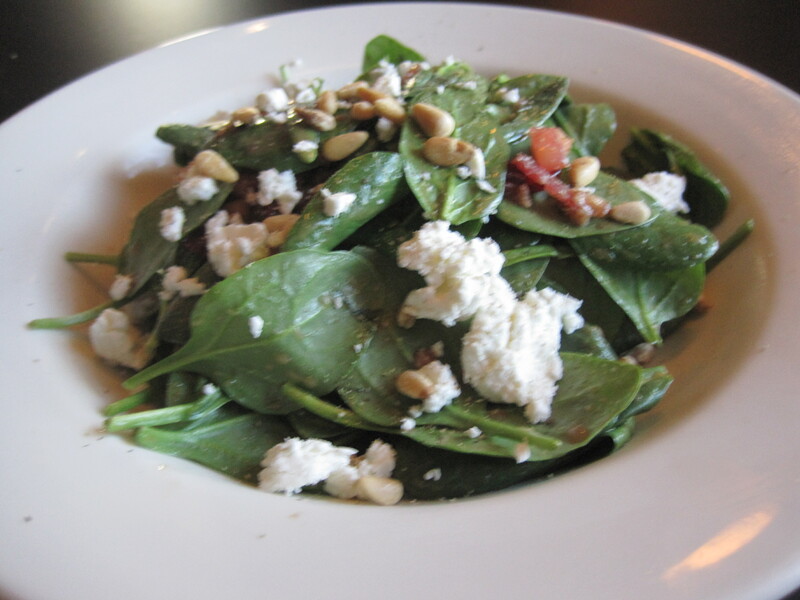 Note: This will be the 300th Atlanta review as counted by Urbanspoon on this blog. On the eve of post number 300, advice to new food bloggers. 1. Be yourself. If you are yourself, you’ll be true to an audience who are like you. Find places you like, talk about places you enjoy eating. Yes, there are places you have to review, but do them and keep scouring the landscape for “gems” of eateries. 2. Be readable. Get rid of the run on sentences, check your spelling, clean up your prose. Sentence fragments do not make for great food reviews. This link is good if you need accent marks in your blog articles. Googling “entree merriam-webster” can show you how to write entrée. 3. Find good lighting. Great lighting makes for great food photos. A good photo almost makes up for lousy prose. 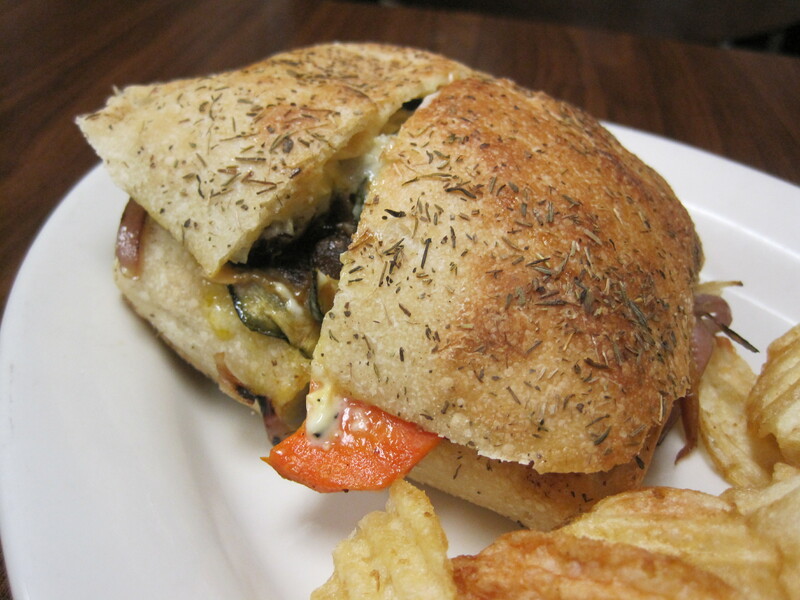 The grilled veggie at OU for U..
I’ve already reviewed OU for U, the Kosher sandwich shop at Hammond and Peachtree-Dunwoody, but I really wanted to try their grilled veggie sandwich. Well, I have been there and the sandwich is excellent. 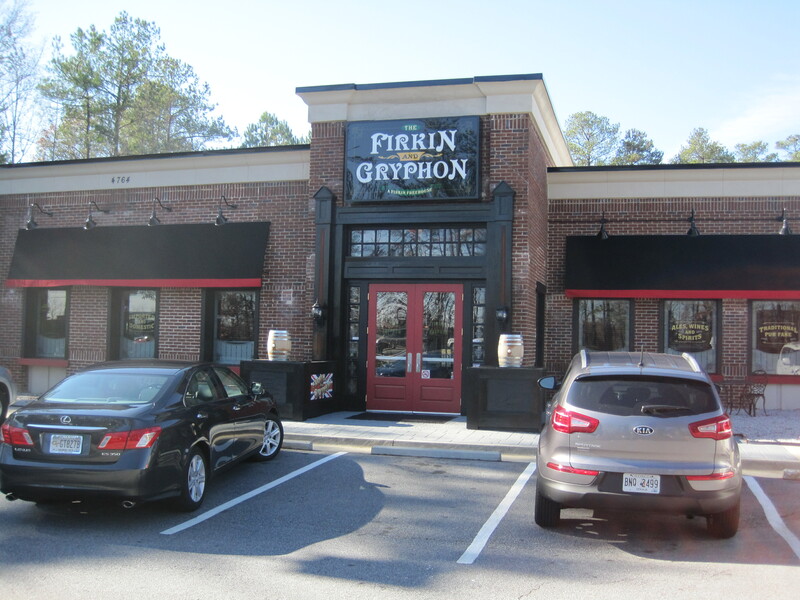 The Firkin and Gryphon is a new pub in town with an English/Irish theme. I say theme because F&G is about as authentic as Outback. Outside of Fish and Chips and Bangers and Mash, the whole menu could be exported to, well, Applebees or O’Charlie’s and no one would know the difference. That said, the food quality is high once it reaches your plate. 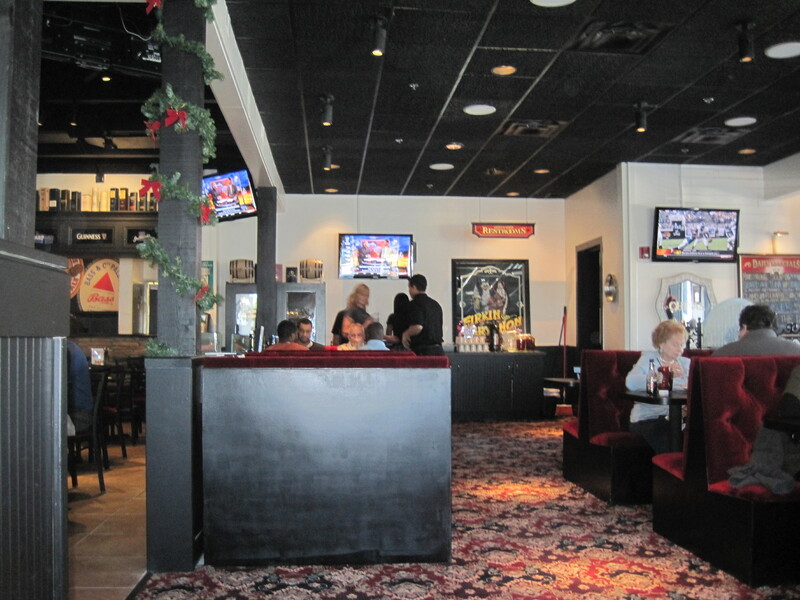 F&G is rich in servers, and both servers and the manager come out and ask how you are doing. 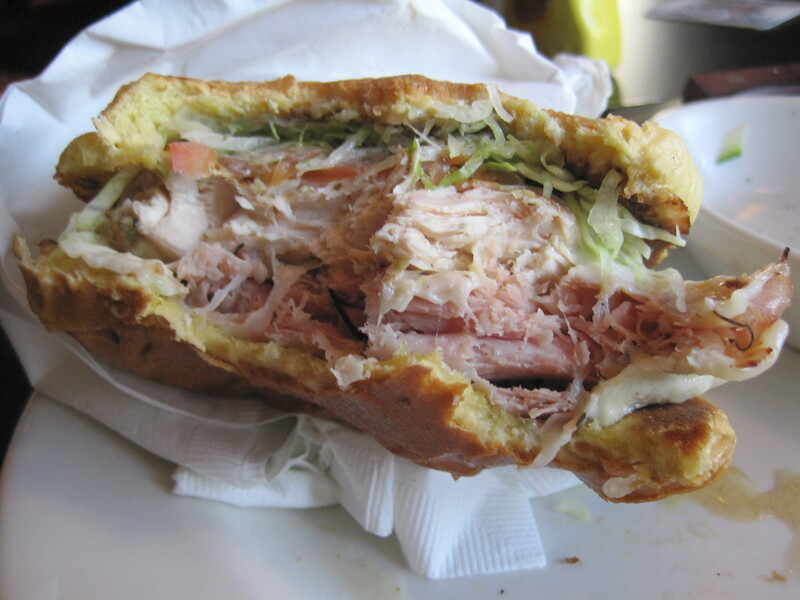 I had a chicken club that day and it was delicious, the chicken grilled, juicy, rich in flavor and the ham and other meats giving the sandwich a huge flavor bang for the buck. If not mentioned earlier, F&G is a chain restaurant, part of the Firkin Pubs group, and hence a sister restaurant to Firkin and Lindburgh. This is a chain to keep on your “friend wants food, not too fancy” short list. Any downsides? The steamed vegetables came out a little plain. That was cured with some salt and pepper. They have specials, and the boards with specials on them are everywhere, but not out front. The items on their specials menu look more adventurous than the stock menu. Check for it when you enter. Anniversary questions: what’s a truly over the top chocolate? 27th wedding anniversary. Wife says she wants a card, 4 good chocolates, a nice place to eat. We’ve scoped out options for place to eat (#1 does not take reservations for parties our size), card can be anything, but the chocolates? Godiva is in Walgreens these days. This would be a good excuse to check out Star Provisions, if I can find time. Alons? Schakolad? Who is making chocolates in the ATL, and doing a bang up job of it?